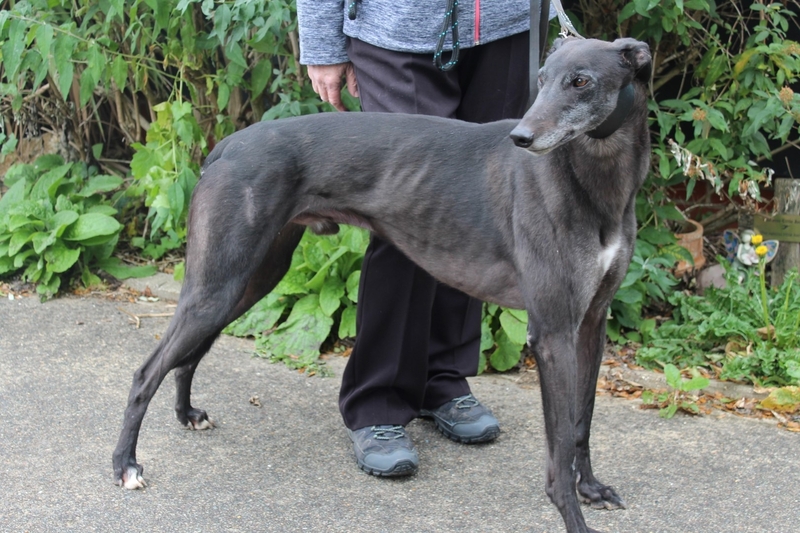 Born in January 2015 Des (Racing name Romeo Desperado) is a sweet affectionate boy who has spent much of his career at Dillymore. 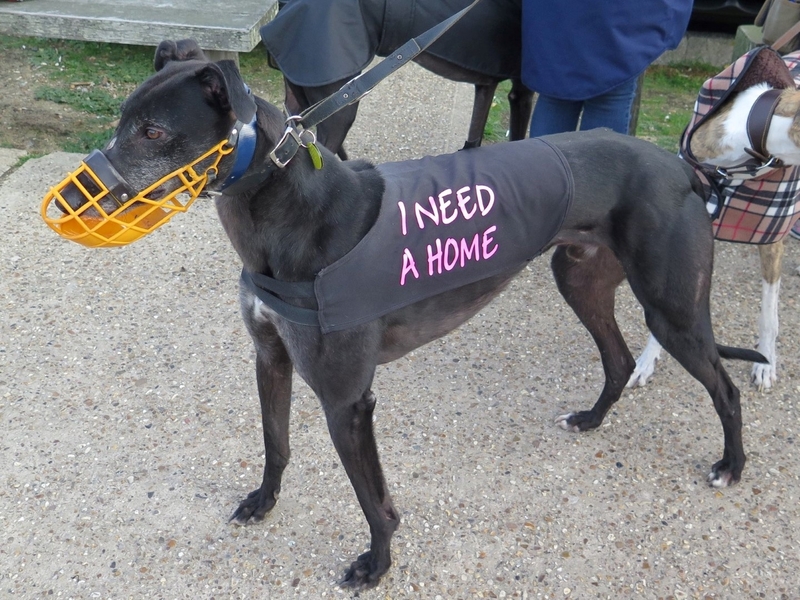 He is absolutely adored by his kennel carers and the Trust Volunteers. Update 05/11/18 Des joined us on our monthly walk yesterday. It was his first time at an event and he behaved beautifully. Eager to meet everyone including other breeds of dogs and children. Des at the Felixstowe walk.